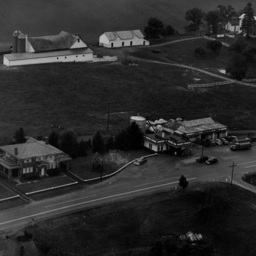 Photograph taken by William Hoyle Garber showing the Burgess Nelson home (on left) and his gas station located on the north end of Mt. Jackson Virginia. Today the site is home to Holtzman Corporation's offices.